Jul. 15, 2018 2:55 p.m.
A friendly 20-month old English Cocker Spaniel named Stevie was blasting down a marked-off track in the playing fields at the back of H.D. Stafford School in Langley Saturday afternoon, a big smile on her face. Stevie, who belongs to Langley resident Joan Rivett, was the designated “test dog” who would go out and chase the retractable lure to test equipment before timed runs. 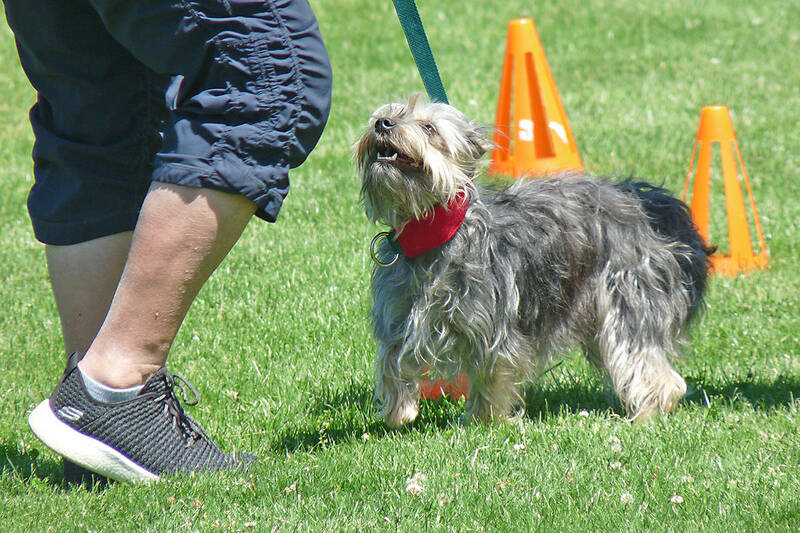 It was the second sanctioned Sprinter event held in Canada by the Canadian Kennel Club (CKC) since the rules were changed to allow any dog to compete. Stevie was one of more than 80 dogs participating in the two-day event, held July 14 and 15. The sprinter event is a 100-meter dash where the dogs pursue a fast-moving white plastic bag. All dogs entered receive a handicap score based on their height, and their time to finish is converted to kilometers per hour. “If people are ever wondering how fast their dogs can run this is the time they can figure it out,” said event organizer Krista Prockiw. 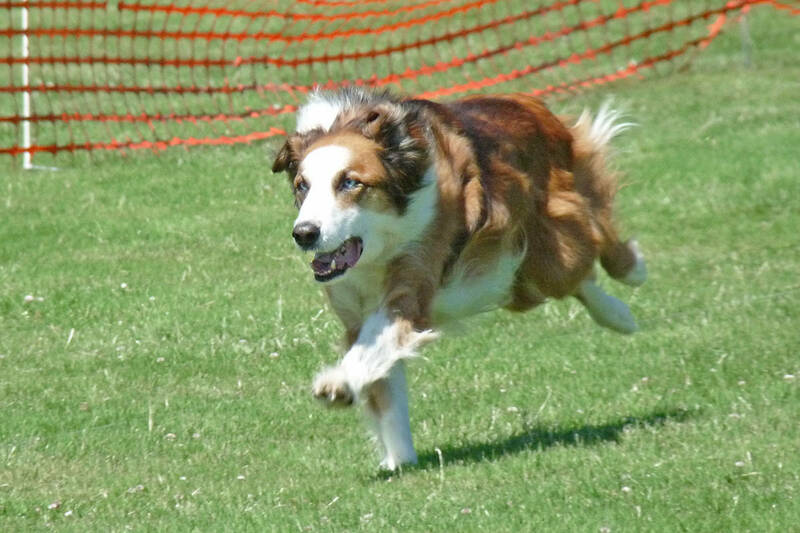 Up till now, the breed of dogs competing in timed sprinter events was restricted, but now it is open to any dog that is registered with the CKC or has a performance event number. “We have Great Danes to Papillons and all sizes in between,” Prockiw said. Under the CKC rules, each dog accumulates points and when they reach 150 they get a novice sprinter title and a big rosette and every dog gets a ribbon for finishing. “Every dog’s a winner,” Prockiw said.